Full Disclosure of things, right? Well, I’m about to get real here for just a second. I’ve talked a few times about how we’re small house living right now, and have been for the past 7 or so years. Three kids, two adults, in a two bedroom, 2 baths, about 950 square foot home. Why? Well, now it’s because we’re waiting to see what the Lord has for us. But it wasn’t always like that. After I had Elijah (4 years ago), we were really struggling monetarily. We were living off of one income, we had terrible insurance and having a baby is EXPENSIVE, diapers for two, bills, and it seemed like everytime we turned around there was another unexpected expense. Thankfully, with the Lord’s help, we just seemed to make it work. We never missed paying a bill, we never went without. Even now, I don’t think many people ever knew it was so. But at that time, I learned how to coupon, and did things as frugally as we could. I fell in love with cloth diapers and even went on to make our own baby food. Now, 4 years later, our little Adeline is in those same cloth diapers and eating homemade baby food too. Except now, it’s been so much easier making it in our pressure cooker! 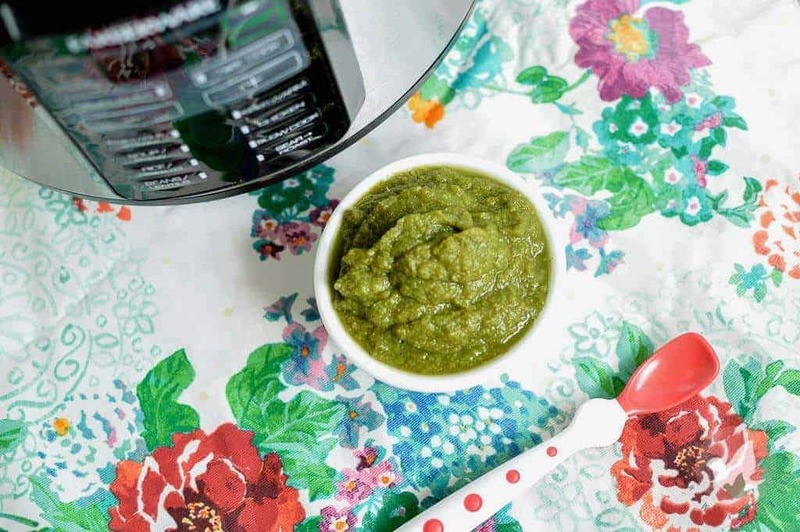 Read more about making Pressure Cooker Baby Food! So, if you’re following along, baby food making does not have to be hard when you’re using a pressure cooker, especially if you’re batch cooking. 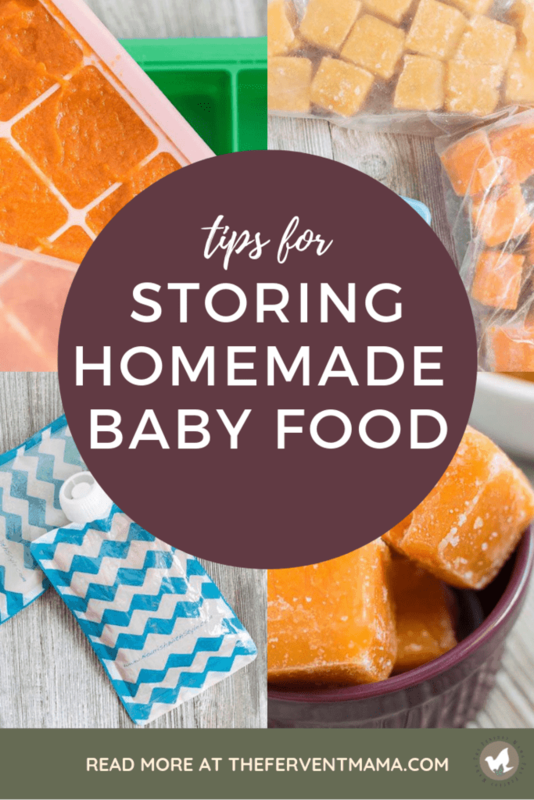 But it still begs the question, how in the world do you go about storing homemade baby food? Actually, it’s super easy too. 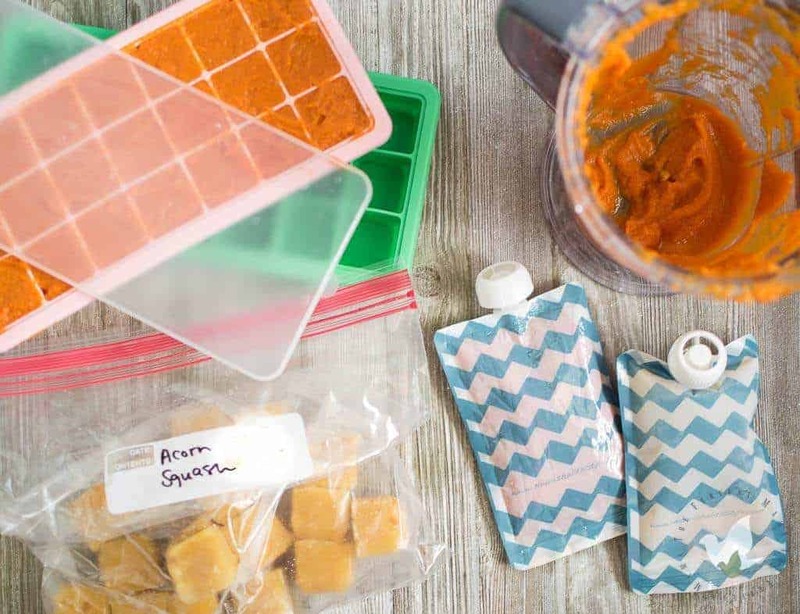 I’m gonna share with you a few ways that you can store your baby food that is practical for freezing, measuring, and heading out on the town with! Because what’s the point of making all these wonderful purees if you have no plan for storing your homemade baby food? To me, this is the easiest way to store your purees for home use. 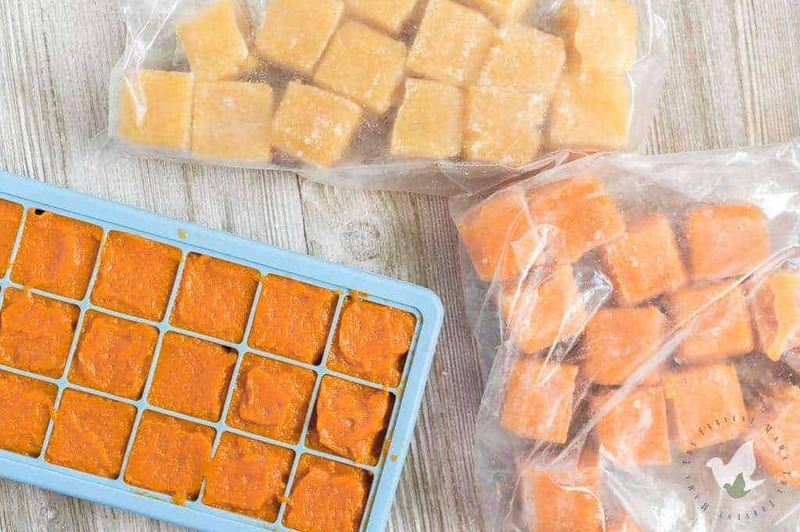 You can batch make your foods and then freeze them until you’re ready to use them. The best part is that each frozen cube will be one ounce, and you will know how many you’ll want to grab or thaw at a time. 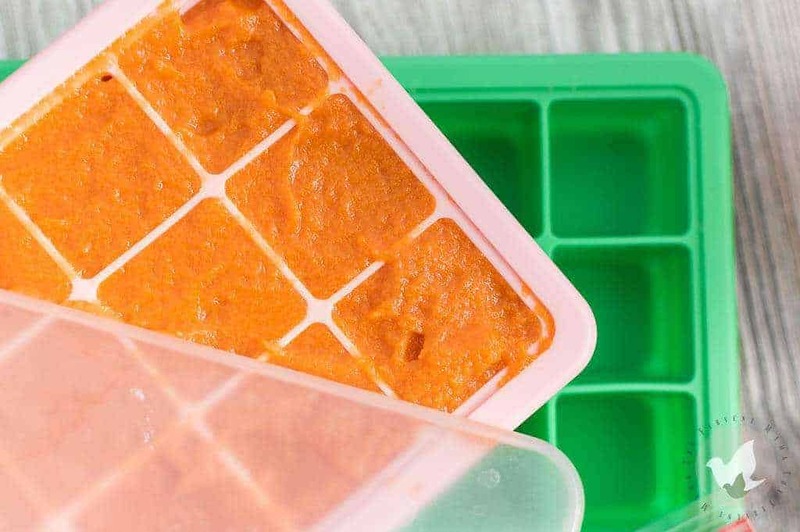 The silicone trays make it easy to bend when removing and they are super easy to wash. Just like any pre-cooked foods, most baby food purees can last between 3-6 months in the freezer. They do make what is labeled as “baby food storage trays” but they are absolutely not needed! Once your mashes are frozen, you don’t want to keep them in the silicone trays because you may want to use them again. The next step is to remove them from the trays and place them into some type of freezer bags. While you can use something like glass storage or freezer-safe plastic containers, but I personally think bags make it easier because they are manipulative in adding extra storage space to your freezer as you deplete your stash. You can choose something like single-use freezer storage, or these reusable storage bags. 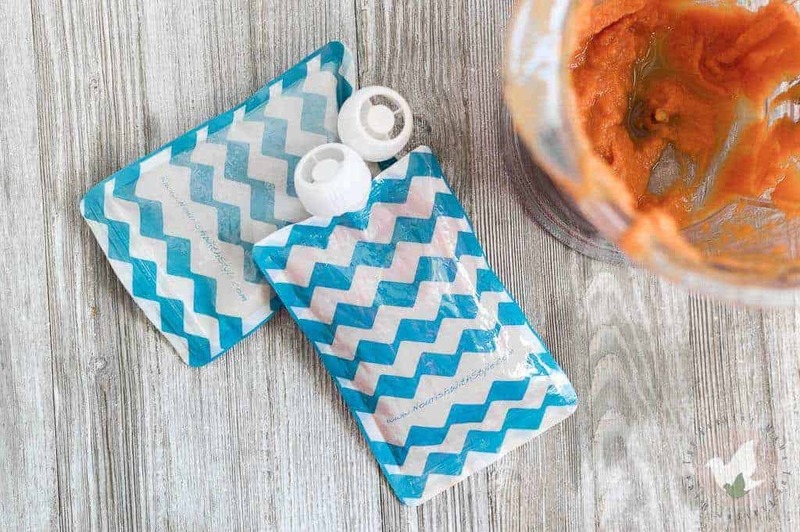 If your an on-the-go mama, then you absolutely need to get your hands on these handy little bags! You know those squeeze pouches that you find applesauce and big name brand baby foods in? This is that, except completely reusable. So now, after you make those purees, open the bottom of the baggie (make sure the top is on tight), and pour your puree in. Now, you can throw a few into the icebox and the rest into the freezer until you’re ready to use them! Every day, just take enough out for the next day or two. Easy, peasy! Of course, you could always buy these little jelly jars or hound your friends for their empty jars. Plus, sometimes you can even find baby food jars at your local thrift stores. If it wasn’t easy, then the big brands wouldn’t do it. So, find yourself some jars for easy storage! Just don’t forget that glass expands, I’m not sure if you’d want to freeze for extended periods of time in open jars (unless they are airtight). I like to use baby food jars for fridge storage only- when I know I’ll be using it quickly. But use to your discretion! These are my favorite, practical, ways of storing homemade baby food, but how do you store your little one’s first foods? 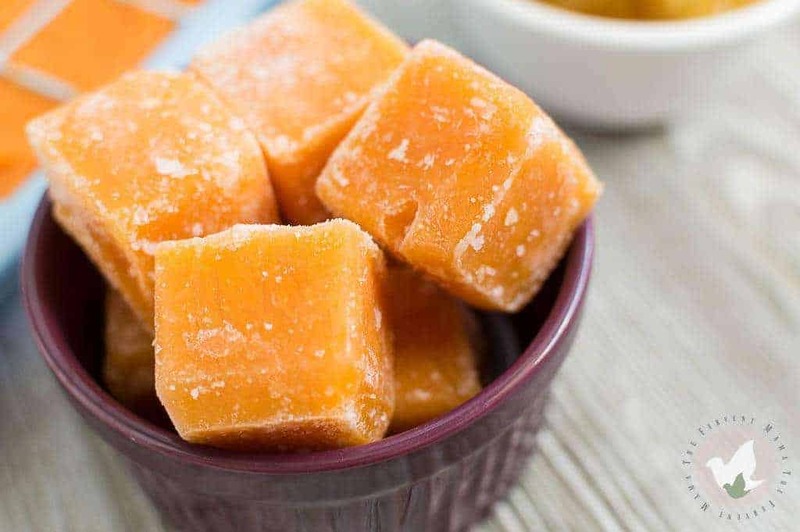 It doesn’t matter if you’re in a bind and need to make your own baby food to save money, or if you’re just wanting to give your baby a more health-conscious option! 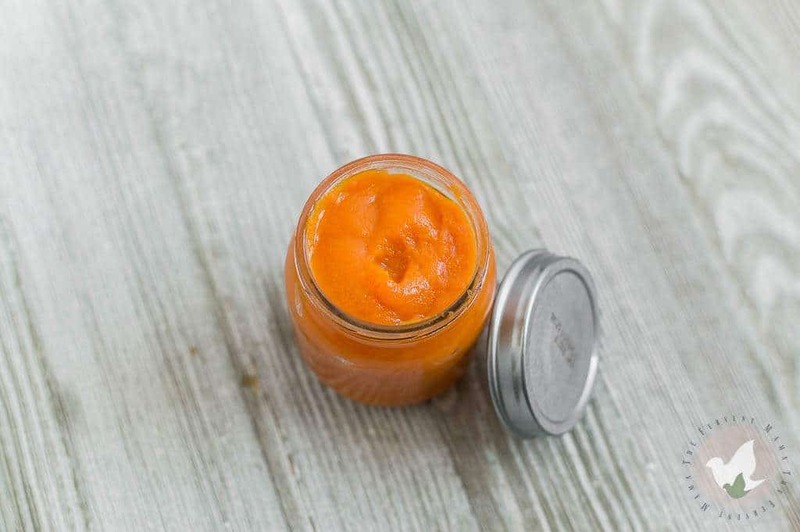 Making your own baby food, and then storing homemade baby food isn’t a hassle when you’ve got the right tools!